Pictured: Minister of Financial Services Ryan Pinder speaks at the Bahamas Financial Services Board Landfall event held at the Conrad Hilton in Miami November 7. Hosted by the Bahamas Financial Services Board (BFSB), Landfall events, which are held throughout the year at various locations, presents a comprehensive view of The Bahamas for wealth managers, particularly those unfamiliar with the offshore financial centre. The US-originated FATCA requires financial reporting to the Internal Revenue Service (IRS) of assets held by Americans outside the US. When news of FATCA broke, The Bahamas held a series of discussions with officials from the IRS and the Treasury “to give them some ideas as to how we would want to proceed,” said Pinder. As a result, the jurisdiction hosted a FATCA symposium in April, which saw featured speakers from the US Treasury and IRS break down how the law would impact the jurisdiction. “We had 10 countries from the region come to The Bahamas to participate and subsequently have bilateral discussions with the Treasury on FATCA,” said Pinder, a tax attorney who once practiced out of Miami. At the April conference financial services practitioners quickly recognized that a significant segment of the industry, trusts, were at risk. In the regulations, trusts with commercial trustees–almost all the trusts in The Bahamas–would be classified as Foreign Financial Institutions (FFI) under FATCA, noted Pinder. “That meant every single Bahamian trust would have to register with the IRS and it would be a public registry,” Pinder explained at the meeting held at the downtown Hilton November 7. It was a move The Bahamas could not endorse, said Pinder. 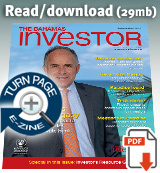 “The Bahamas took a stand with the IRS. We said this was not what we would support. This is outside the scope of the intent of FATCA. FATCA is an information gathering exercise. It is not a trust registry and The Bahamas would not support such a position,” Pinder recalled. The change resulted in more institutions and products being exempt from onerous FATCA requirements, but still deemed compliant. “That is in the Annex for all IGAs for all countries, but it was The Bahamas that led that charge,” said Pinder. According to Pinder, the FATCA negotiation was “a groundbreaking achievement” for the country. 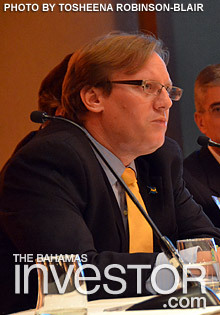 “Ultimately, all financial centers reciprocate in that benefit, but it is something that proves the United States respects The Bahamas as a financial centre, respects our integrity and our technical and human capacity to be able to negotiate after the regulations came out when they said there would be no more exemptions negotiated in IGAs,” said Pinder. During a Bahamas Financial Services Board Landfall event held at the Conrad Hilton in Miami November 7, Minister of Financial Services Ryan Pinder said that The Bahamas could cooperate with US intermediaries to attract Latin American capital.